Beauty in old age cheers my heart. ← 141. A Rant: How Can Color Go Out-of-Style? Charcoal and a little lighter fluid would make for a nice campfire (the redneck in me). I do love the flowers. Have a great weekend! Bummer. 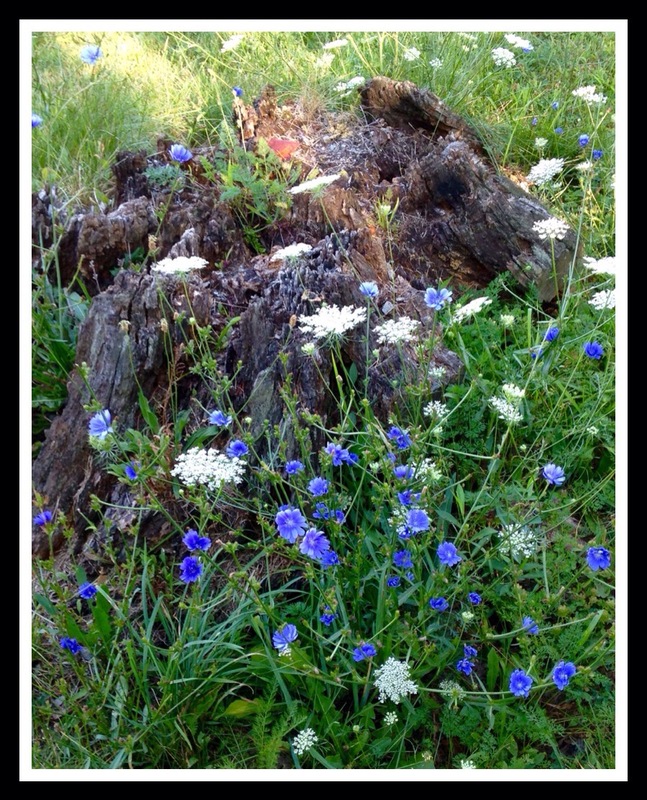 Eventually time will return the stump to soil. 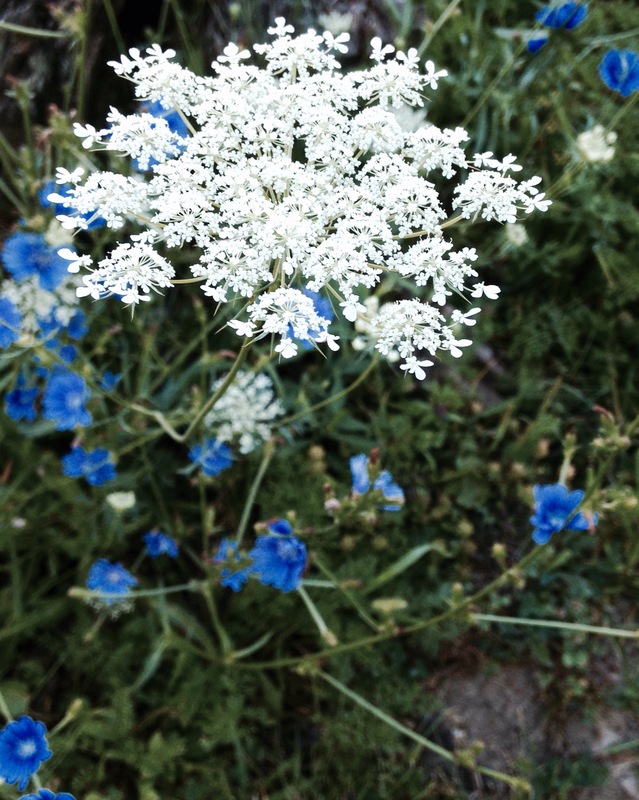 Love those wild flowers! Pretty pics! Yes. That’s why I had to take pics. 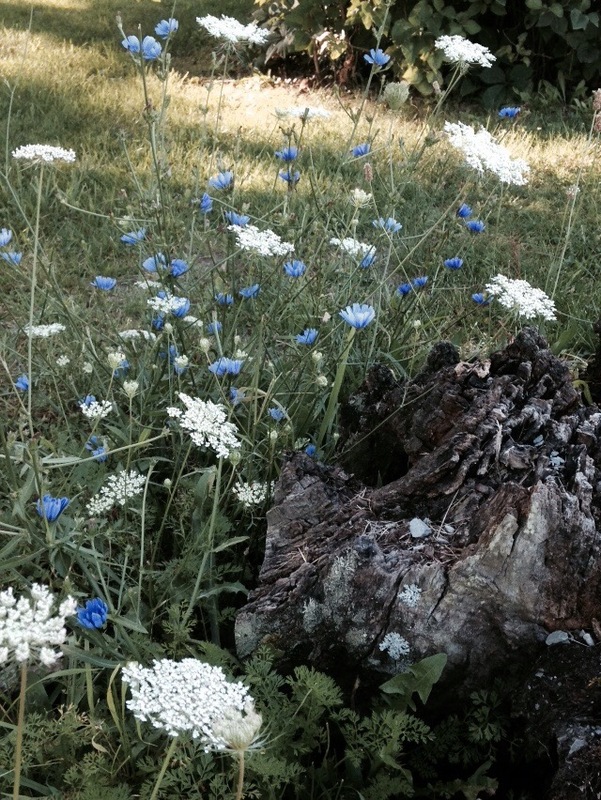 Queen Anne’s Lace and Chicory are my favorite wild combos — they decorate August beautifully, don’t you think?